Every time asking money from your family or friends is not feasible. But people do suffer from a money crunch every now and then. Personal loan app is the solution when such a problematic situation arises. These quick loan platforms are popular among young professionals because of the speed and short application process. Whether you are caught up in between a medical emergency or planning to take a trip, you can apply for a loan on a personal loan app as per your requirement. People apply for a personal loan to pay their education fees, to cover travel expenses, to pay home repair expenses, to buy a car or mobile phone or any other large asset. The entire process takes place on the personal loan app online. You don’t have to visit any bank or physical branch to apply. • Download the loan app from Google play store or Apple app store from your smartphone. • Enter the loan amount you want to borrow. 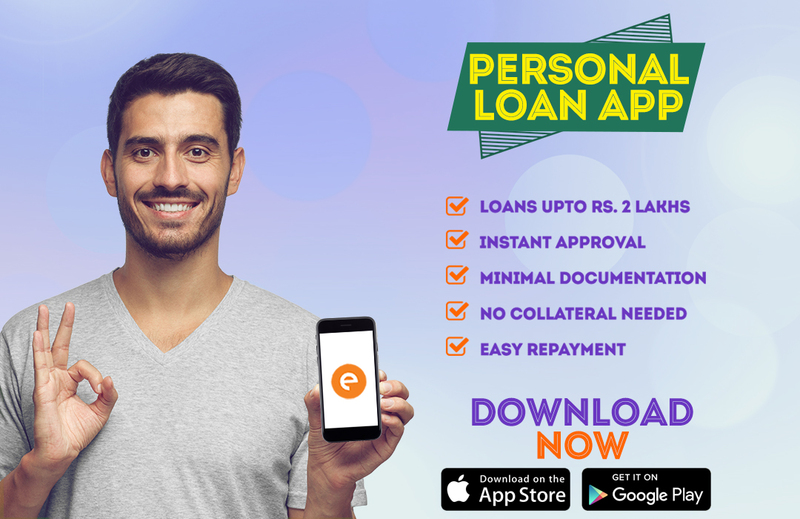 The personal loan app offers loan ranging from ₹10,000 to ₹ 2 lakhs. • Enter the tenure as per your loan repayment convenience. The duration can be 15, 30, 60, 90, 180 Or 360 days. • Upload the required documents for the loan process. • The personal loan app will then review your request. • Identity proof: You have to submit your ID proof to the personal loan app like your pan card or Aadhar Card or Passport or your driving license. • Address proof: You can submit your Passport or Rent Agreement or Utility Bills as valid address proof. • Income proof: You will have to submit 3 to 6 months’ salary slips along with bank statement as your income proof. • Photographic proof: You will have to upload your latest picture as photographic proof. You can repay the personal loan app by transferring the loan in the bank or by depositing a cheque.